Improve team productivity, engagement, communication, customer service and capability to overcome challenges. FMI has trained thousands of teams and team members over the last 20 years and is a leader in this field. Individual and team development looks at the way people and teams work in order to achieve business objectives and meet performance standards. This considers how the individual and team work independently and as a collective and part of the wider organisation. Teams need to be able to work well with each other and respect and leverage the individual qualities and strengths of each team member. 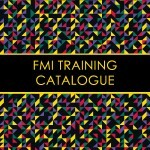 FMI offers a range of short courses, training programs and coaching programs to assist teams and team members to enhance their effectiveness. FMI’s learning and development solutions combine structured learning with on the job projects, feedback tools and reports to ensure learners apply skills and develop capability and drive results for themselves and their organisations.